Hornbeck Offshore Services, Inc. announced today that it has expanded its OSV Newbuild Program #5 and has commenced a new 200 Class OSV Retrofit Program, among other recent developments. The Company has exercised the first four of its 48 options to build additional HOSMAX vessels at an aggregate incremental cost of approximately $180 million, excluding construction period interest, for vessel deliveries in the fourth quarter of 2014 and first quarter of 2015. These four new vessels will expand the Company’s fifth OSV newbuild program, which was announced in November 2011, from 16 vessels to a total of 20 U.S.-flagged HOSMAX class DP-2 new generation offshore supply vessels (“OSVs”) for its Upstream business segment. These 20 vessels are being built at two shipyards in the United States, which qualifies them for coastwise trade in the U.S. Gulf of Mexico (“GoM”) under the Jones Act; however, the Company expects them to service the anticipated increase in deepwater and ultra-deepwater drilling activity in all three of the Company’s core geographic markets of the GoM, Brazil and Mexico. The HOSMAX class DP-2 vessel designs contemplated by this newbuild program feature three different size vessels (300, 310 and 320 feet in length) each with cargo-carrying capacities ranging from 5,650 to 6,200 deadweight tons and more than 20,000 barrels of liquid mud. The Company considers the option vessel pricing to compare favorably with all other recently announced newbuild programs for vessels of similar size and specifications. In connection with exercising the first four shipyard options under this high-spec OSV newbuild program, the Company was able to extend the exercise dates for its 44 remaining options by approximately 60 days each without changing the favorable pricing and original delivery dates. Accordingly, the Company’s decision with respect to the exercise of the next option at each of the two shipyards is now not due until February 1, 2013 and February 19, 2013, respectively. These exercise date extensions afford the Company more time to assess market conditions before determining whether and to what extent to exercise additional options. In addition to the 20 newbuild vessels already committed that are scheduled to be placed in service on various dates between the second quarter of 2013 and the first quarter of 2015, the delivery dates for the remaining 44 vessels, if such options are exercised, will be approximately 24 to 26 months following the date of each respective option exercise, with the last potential newbuild vessel under this program (the 48th optional and 64th overall) to be delivered in January 2018. The Company currently intends to exercise all of its remaining 44 options to build additional HOSMAX class vessels should future market conditions, the pace of permitting in the GoM and its company-wide fleet complement continue to warrant their construction, providing the Company a very attractive, strategic five-year organic growth opportunity. The Company expects the aggregate cost of the first 20 vessels committed under this potential 64-vessel construction program, including the four option vessels announced today, to be approximately $900 million, excluding construction period interest. At June 30, 2012, the Company had a cash balance of approximately $392 million and added net cash proceeds of approximately $266 million to the balance sheet from its 1.500% convertible notes offering, which closed on August 13, 2012. Together with cash on-hand and available capacity under its currently undrawn $300 million revolving credit facility, and based on the key assumptions outlined in the Company’s August 3, 2012 earnings release, the Company expects to generate sufficient cash flow from operations to cover all of its growth capital expenditures for the first 20 HOSMAX vessels under construction, all of the capital costs related to its new six-vessel 200 class OSV retrofit program discussed below, the planned retirement of its 1.625% convertible notes in November 2013, and all of its annually recurring cash debt service, maintenance capital expenditures and cash income taxes for the remainder of fiscal 2012 and for the full duration of the currently committed 20-vessel HOSMAX newbuild program. In summary, the Company’s fifth OSV newbuild program now consists of vessel construction contracts with two domestic shipyards to build four HOSMAX 300 class OSVs, six HOSMAX 310 class OSVs (up two from the previously announced four), and ten HOSMAX 320 class OSVs (up two from the previously announced eight). Based on the above schedule of projected vessel in-service dates, the Company expects to own and operate 51, 56, 69 and 71 new generation OSVs as of December 31, 2012, 2013, 2014 and 2015, respectively. These vessel additions result in a projected average new generation OSV fleet complement of 51.0, 52.2, 63.0 and 70.9 vessels for the fiscal years 2012, 2013, 2014 and 2015, respectively. The aggregate cost of the Company’s fifth OSV newbuild program, excluding construction period interest, is expected as noted above to be approximately $900.0 million, of which $242.2 million, $429.8 million, $178.5 million and $6.9 million is expected to be incurred in 2012, 2013, 2014 and 2015, respectively. From the inception of this program through June 30, 2012, the Company had incurred $120.4 million, or 13.4%, of total expected project costs, including $41.0 million that was spent during the second quarter of 2012. In addition to the expansion of its HOSMAX newbuild program, the Company has decided to move forward on a new retrofit program that will upgrade and stretch six of its 200 class DP-1 new generation OSVs converting them into 240 class DP-2 OSVs. The vessels the Company has committed to this program are six of its ten Super 200 class DP-1 vessels, four of which are the vessels that recently completed two-year charters with Petrobras in Brazil. These new generation OSVs were built in 1999 and 2000 and were acquired by the Company in 2007. Due to their 56-foot wide beams, the planned 40-foot mid-body extensions and DP-upgrades are expected to add approximately 600 tons to the vessels’ 2,250 tons of current deadweight capacity and roughly double the vessels’ current liquid-mud capacity to approximately 8,000 barrels. The Company is now in the process of finalizing negotiations with a domestic shipyard it has selected and expects to enter into a definitive contract in the very near future. Based on preliminary estimates, the Company expects the yard to complete two of the six vessels in each of the following redelivery months: May 2013, August 2013 and December 2013, respectively. Other than a modest amount of cash outlays and commercial downtime in the third and fourth quarters of 2012, this retrofit program is not expected to materially impact the Company’s financial results for fiscal 2012. However, upon completion of this program in 2013, the Company expects the newly retrofitted 240 class DP-2 vessels to command higher dayrates, higher margins and higher returns-on-invested-capital than they would have as 200 class DP-1 vessels, such that the Company anticipates a cash-on-cash pay-back of its additional capital investment within approximately 2.5 years. Given the market’s preference for high-spec DP-2 vessels and the Company’s relatively low pro forma net book value for its retrofitted vessels compared to the construction costs of comparable newbuilds in the market today, the Company should be even more competitive in meeting customers’ demand for high-spec vessels at very attractive relative economics. Prospectively, the Company will report the projected cash outlays for its 200 Class OSV Retrofit Program under the caption “Maintenance and Other Capital Expenditures,” rather than “Growth Capital Expenditures.” Accordingly, the following figures will update and supersede the forward-looking guidance the Company provided in its earnings release on August 3, 2012. The Company now expects maintenance capital expenditures and other capital expenditures to be approximately $58.2 million and $17.4 million, respectively, for the full-year 2012. The Company now expects maintenance capital expenditures and other capital expenditures to be approximately $39.2 million and $50.0 million, respectively, for fiscal 2013, with the cash outlays relating to the 200 Class OSV Retrofit Program included in the latter category. For fiscal 2014, the Company expects that its annually recurring maintenance capital expenditure and other capital expenditure budget, in the aggregate, for its company-wide fleet of vessels will range between $45.0 million and $55.0 million. In accordance with ASC 470-20, convertible debt that may be wholly or partially settled in cash is required to be separated into a liability and an equity component, such that interest expense reflects the issuer’s nonconvertible debt interest rate. Upon issuance, a non-cash original issue discount (“OID”) is recognized as a decrease in debt and an increase in equity. The debt component accretes up to the principal amount over the expected term of the debt. ASC 470-20 does not affect the actual aggregate principal amount of the convertible notes that the Company is required to repay, nor does it impact the actual amount of cash coupon that the Company is required to pay with respect to the convertible notes. On August 13, 2012, the Company closed on the issuance of $300 million in aggregate principal amount of 1.500% convertible senior notes due 2019 (the “1.500% convertible notes”). The Company’s estimated nonconvertible debt interest rate on such date was 5.75%, based on indicative market quotes for the Company’s publicly traded 5.875% senior notes due 2020. Therefore, as of the date of issuance of the 1.500% convertible notes and in accordance with the GAAP treatment described above, the Company recognized $73.3 million of non-cash OID, which decreased the book carrying value of the 1.500% convertible notes and increased the Company’s additional paid-in-capital equity account by a like amount. Such non-cash OID will be amortized through interest expense over the seven-year life of the 1.500% convertible notes. Accordingly, while the incremental annual run-rate of cash interest expense for the 1.500% convertible notes will be a constant $4.5 million, the gross book interest expense for such notes for financial reporting purposes will vary from year-to-year. The initial annual run-rate of GAAP interest expense for such notes is expected to be approximately $13.3 million. However, GAAP interest expense is expected to fluctuate based on the levels of capitalized construction period interest. Due to changes in the timing of certain cash interest payment dates associated with the Company’s recent retirement of its 6.125% senior notes in March and April 2012, the issuance of its 5.875% senior notes in March 2012, and the issuance of its 1.500% convertible notes in August 2012, aggregate annual cash debt service for the full fiscal-year 2012 is expected to be $42.2 million. However, inclusive of the planned redemption of its 1.625% convertible notes in November 2013, the Company expects to incur aggregate annual cash debt service for the full fiscal-year 2013 in the amount of $52.3 million, excluding any cash interest expense related to potential revolver draws. Commencing with fiscal 2014 and beyond, the Company’s aggregate annual run-rate of cash debt service should revert to $48.0 million, excluding any cash interest expense related to potential revolver draws. The Company experienced no damage to any of its vessels as a result of Hurricane Isaac, including those currently under construction or in drydock at various GoM shipyards, although such yards may claim force majeure delays that may have occurred as a result of the storm. In addition, Hurricane Isaac did not result in customer cancellations of any pre-storm spot or term vessel charters. The Company’s new generation Upstream fleet continues to operate in-line with its pre-storm utilization guidance reported on August 3, 2012, which remains subject to, and primarily driven by, the pace of permitting in the GoM. No physical damage related to Hurricane Isaac occurred to the Company’s corporate headquarters in Covington, LA, which remains fully operational with all electrical power, Internet connectivity and telecommunications service. In addition, HOS Port, the Company’s logistics shore-base in Port Fourchon, LA, is fully operational. ATP Oil and Gas, Inc., a customer of the Company, initiated a reorganization proceeding under Chapter 11 of the United States Bankruptcy Code on August 17, 2012. As of the date of the bankruptcy filing, ATP was indebted to the Company in the amount of approximately $4.8 million. While the Company believes that its claims are secured by liens arising under law, it is too early in the proceeding to assess ATP’s plans and ability to repay the Company. ATP has indicated its plan is to reorganize and to that end has received post-petition financing. The Company will pursue all rights in the bankruptcy case in order to maximize its recovery. Hornbeck Offshore Services, Inc. is a leading provider of technologically advanced, new generation offshore supply vessels primarily in the U.S. Gulf of Mexico and Latin America, and is a leading short-haul transporter of petroleum products through its coastwise fleet of ocean-going tugs and tank barges primarily in the northeastern U.S. and the U.S. Gulf of Mexico. Hornbeck Offshore currently owns a fleet of 80 vessels primarily serving the energy industry. 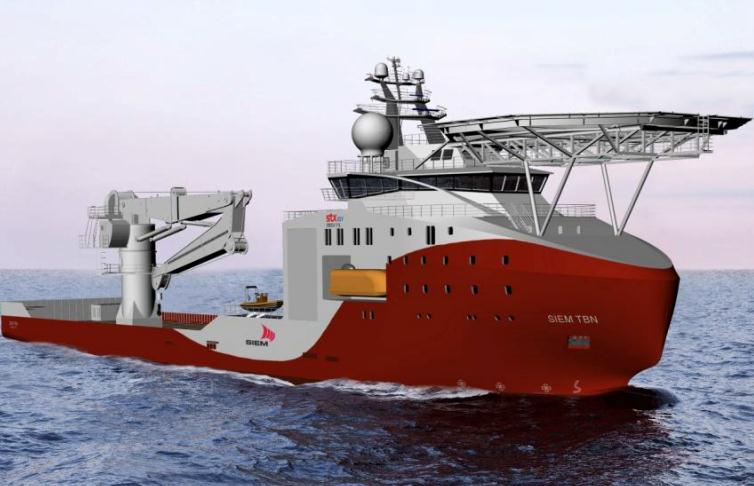 STX OSV Holdings Limited (“STX OSV”), one of the major global designers and shipbuilders of offshore and specialized vessels, announces that it is strengthening its technology and engineering competence through two separate transactions. Seaonics AS (“Seaonics”), a subsidiary of STX OSV, is in the process of acquiring a shareholding interest in Castor Drilling Solution AS (“CDS”). Based in Kristiansand, Norway, CDS is a newly established company with specialist competence in offshore drilling technology. 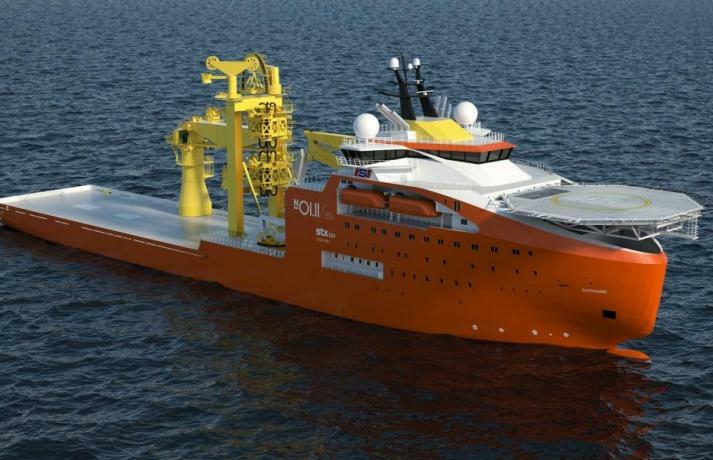 The investment is expected to give STX OSV new insight into this segment of the offshore market, and give opportunities for development of integrated solutions primarily related to the growing market of Offshore Subsea Construction Vessels (“OSCV”). The investment, to be completed in two tranches by the end of the year, will give Seaonics a 34% stake in CDS. Separately, STX OSV has entered into an agreement to acquire 70% shareholding interest in Brevik Partners AS (“Brevik Partners”). Established in 2010, Brevik Partners is an engineering company specializing in offshore technology and equipment. The investment in the company, to be renamed STX OSV Engineering Brevik, is expected to strengthen STX OSV’s ability to develop new concepts and integrated solutions for offshore and specialized vessels. The proposed transaction is expected to be closed by the end of May. Both investments are in line with STX OSV’s strategy of increasing its technology and engineering competence in select parts of the offshore value chain. Through focused investments, STX OSV aims to strengthen its ability to develop and introduce vessels equipped with cutting-edge innovation and technology.